Mods are modifications of the game files made by players that add features and expand the original capabilities of a game. Mods can contribute to the success and continuity of a game, as it makes them more lively and open countless possibilities. It is really impressive to see what a community can do with a game when given the freedom and tools to modify it. The content of this website is proof of it. RimWorld has an extensive supply of mods and tools to make your experience even more fun. Mods can be small tweaks that add a feature or two, or try to fix a bug or a fault in the user interface. But they can also be huge additions that expand the gameplay or turn the game into a complete different experience. It is up to you to choose how do you want to customize your game but, with this guide, we will show you how to get started. Before downloading a mod, specially if you are downloading it directly and not from the Steam Workshop, you must find out if it’s compatible with your game version. RimWorld is a game in development and thus it gets updated often, making changes in core files that your mods could be relying on. 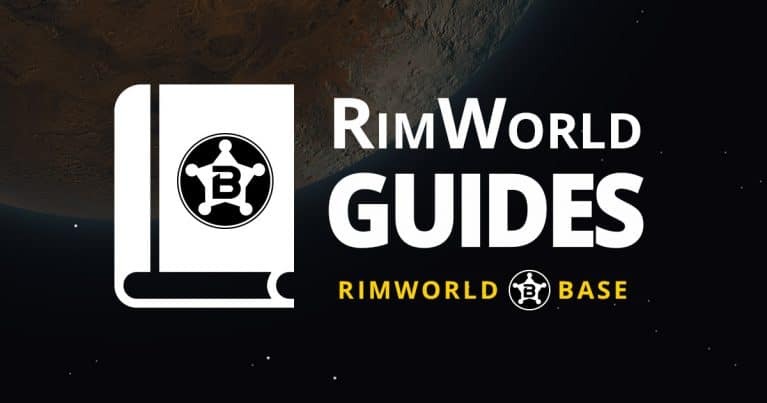 The different versions of RimWorld are called Alphas or Betas (alphas and betas are builds of a game in its software testing stage. Beta being more advanced). If you are playing via Steam, you will always play with the latest released version, unless you opted not to update your game. You can check which version are you playing with on the main menu screen of the game (top left corner). The download files you will find in this website are always up to date with the latest version of RimWorld. Older versions may be available, but you will find them listed separately. You are now ready to download and install RimWorld mods! You will get a zipped file, which you have to extract (use a decompression tool of your choice: winzip, winrar, 7zip…). Windows: right-click on the RimWorld executable and go to Properties. Then click on Open File Location. Your Mods folder should be in there. Mac: click on your hard drive and go to applications. Then right-click on the RimWorld app and go to Show Package Contents. Here you will find all the folders for the RimWorld app, including the Mods folder. Start RimWorld and go to Mods from the main menu. In this window you can activate and deactivate mods. It is not recommended to alter the contents of the Mods folder while the game is running. Issues: If you are unable to start your game after enabling a mod, navigate to C:/users/username/AppData/LocalLow. There you will find the Ludeon Studios folder, then navigate to RimWorld/Config and remove the offending mod from the modsConfig.xml file. Go to the mod’s Steam Workshop page. Click Subscribe. The mod will start downloading automatically when you start the game. Start RimWorld and go to Mods from the main menu. All your subscribed mods will appear in this window where you can activate and deactivate them. Note that you can also install mods manually even if you have the Steam version of the game. Simply follow the instructions on the other tab. The Core folder should always be first. The Community Core Library, if your mods require it, should go next. Other Library mods go next (such as HugsLib or JecsTools). Item-intensive or game-intensive mods should be closer to the top. Expansion mods should be placed after the original mod. Many content mods (such as Weapon, Apparel, Faction or even Hair mods) are compatible with each other. Mods that change the same base game files, such as combat overhaul mods, are usually incompatible. Mods that add functionality to base game things are compatible but won’t add those functionalities to content introduced by other mods. Modpack authors try to make mods in their pack compatible with each other. Adding or updating mods might break the pack. Mods that add factions will require you to start a whole new game. Unless you have Orion’s Faction Discovery Tool installed.